A reliable source for Grey Iron Castings information and a resource for accessing leading Grey Iron Castings and suppliers. Grey iron castings, also known as gray iron castings, are iron-carbon alloyed parts produced in foundries, not to be confused with forges. Inside foundries, gray iron material is cast and formed via closed mold operations for applications in a wide range of industries. Industries that use gray iron castings include: agriculture, architecture, automotive, construction, electronics, irrigation, machinery construction, transportation, and ventilation. Grey iron castings lend durability, hardness and strength to any operation for which they are used. The applications of gray iron castings are many. As non-flammable building components, they provide superior fire protection to wooden support structures. Also, their graphite/graphite flake content is useful in energy dissipation of parts like engine blocks and crankshafts, which depend on the dampening of mechanical vibrations. Introduction to Glass and Glass Manufacturing Grey iron castings, also known as gray iron castings, are iron-carbon alloyed parts produced in foundries, not to be confused with forges. Inside foundries, gray iron material is cast and formed via closed mold operations for applications in a wide range of industries. 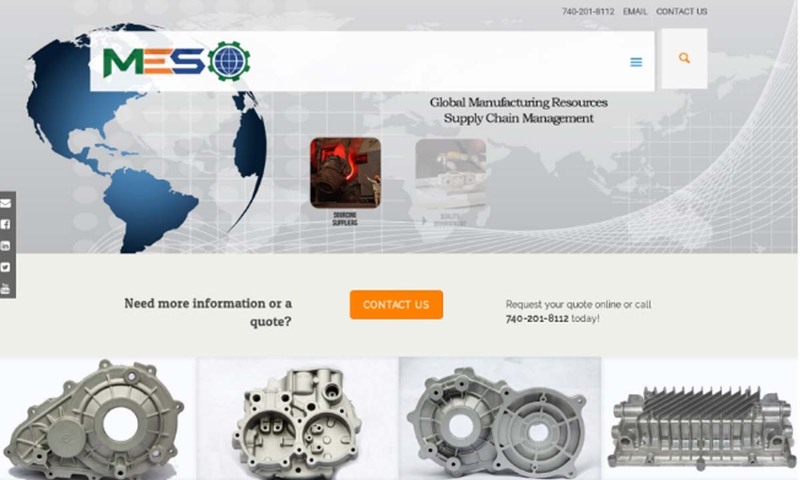 MES, Inc. produces & delivers a wide range of gray iron castings, serving construction, valve, pump & agriculture industries & many more. Our facility is ISO certified and our mission to provide you with the very best grey iron castings. 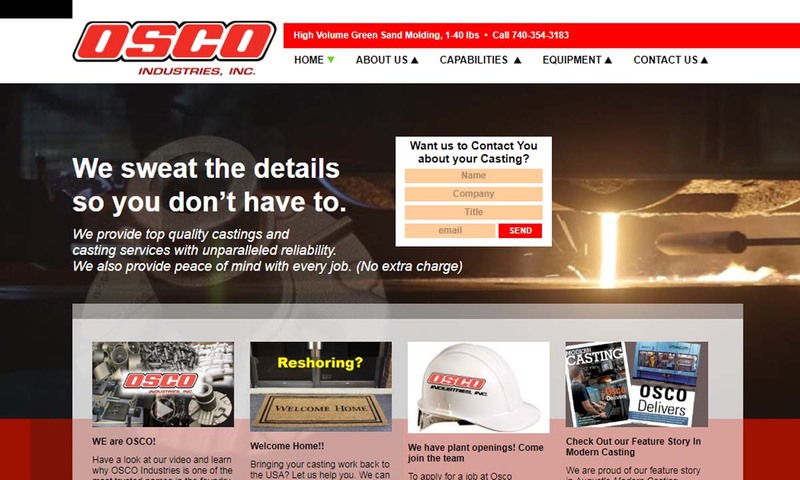 Osco Industries, an ISO 9002-certified company, is a supplier of Gray Iron Castings. Up to 50 lbs. High & low volume. Greensand & shell molding. 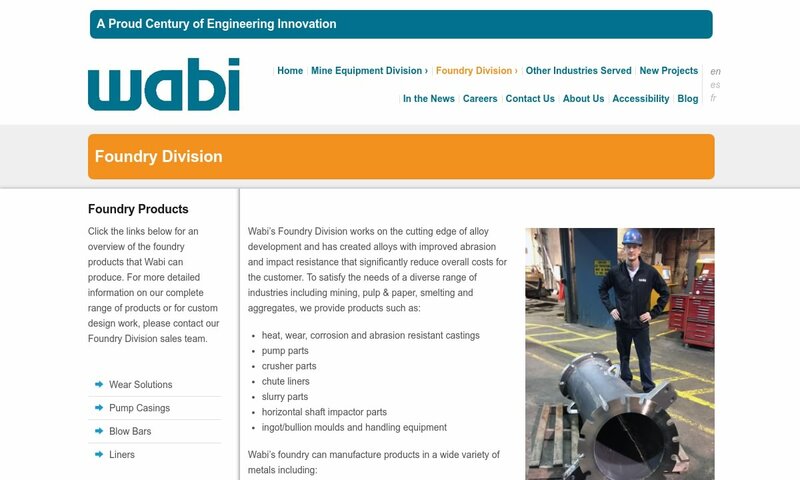 Wabi leads the industry in manufacturing loading and conveying systems, and general and abrasion-resistant castings to satisfy industrial and OEM requirements. 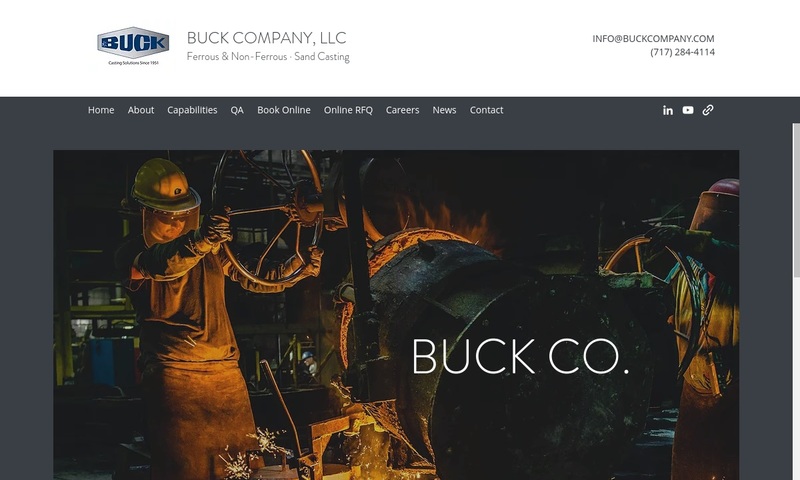 Buck Company is a manufacturer of gray iron castings, alloy castings, malleable iron castings and ductile iron castings. We have a variety of capabilities in brass, aluminum and bronze. 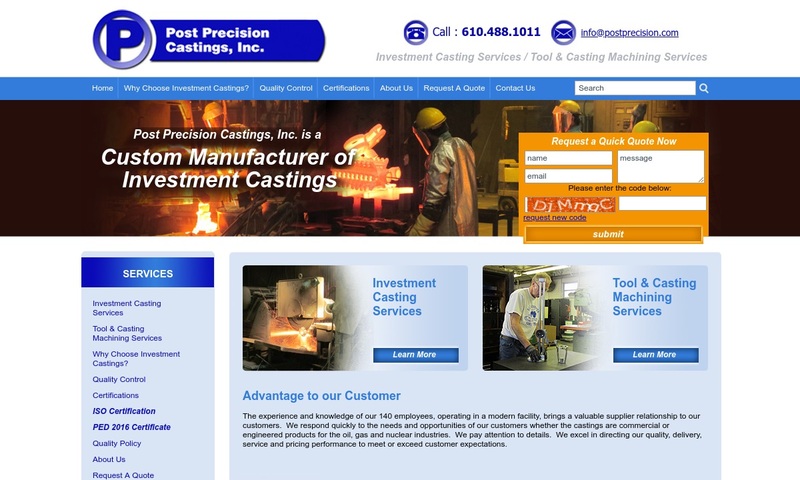 At Post Precision Castings, we specialize in providing tooling and casting machining services such as grey iron casting. In our 125,000-square-foot facility, our in-house tool and die shop allow for us to keep overall production costs to a minimum and our lead times short. The first type of iron to ever be cast, grey iron, has had a long and illustrious history in our world. The earliest cast iron products were made in China, circa the 5th century BC. At that time, iron was cast into the form of weapons, simple pots, ploughshares and shot. Also, between the 9th and 4th centuries BC, people developed malleable iron casting. Malleable cast iron was much easier to manipulate. It is likely that the Chinese shared their cast iron process along the Silk Road. Despite this, Western Europeans didn’t begin iron casting until the 15th century AD. Artisans used the cast process to make heavy cannons for the British Royal Navy, per the instruction of Henry VIII. Grey Iron Castings – OSCO Industries, Inc..
A few centuries later, in 1707, a British man named Abraham Darby discovered a way to cast iron pots with thinner walls. He used this to make cast iron cookware. Using the same method, other manufacturers made cast iron shields and some body armor parts. This use of iron casting for armor was popular through the mid-1700s. In the 1770s, James Watt developed an atmospheric steam engine, updated from an earlier one by Thomas Newcomen, Watt’s steam engine made gray iron casting easier and the parts produced more accurate and higher strength. Before steel, people used grey iron castings as structural components of bridges. They made the switch to steel in the early 1800s, as steel has much higher tensile strength and hardness. The use of grey cast iron proved more successful in the construction of buildings like textile mills. The iron construction helped prevent fires. Textile mills benefited from this in particular because they were filled with combustible fibers and flammable dust. The iron helped so much that, eventually, manufacturers began making their equipment from cast iron as well. Throughout the last century, gray iron castings continued to be popular. In 1967, for example, gray iron was being cast at about two and a half times the volume of other cast metals. That year, manufacturers cast upwards of 14 million tons of gray iron products. Today, though gray iron is among the oldest irons, it is still routinely cast. This is a testament to its usefulness. Within the last decade, manufacturers have greatly increased the dimensional control with which they can cast grey iron. They’ve also been able to improve the quality of thin sections. Dimensional control and product quality will only improve in the coming years, as manufacturers continue to perfect these practices. To make better parts, manufacturers are also working on mold surface treatments that allow them to skip post-casting mold blasting procedures. Skipping this step translates to quicker and less expensive casting. As always, they’re also looking into ways to strengthen gray iron. The generally accepted composition of grey cast iron is 95% iron by weight, plus 1% silicone to 3% silicone and 2.1% carbon to 4% carbon. The high amount of silicone in grey iron produces graphite when heated. Graphite is the element responsible for gray cast iron’s coloring. You can see the gray graphite when gray iron fractures. When it fractures, it produces graphite flake, evidence of its graphitic microstructure. In its natural form, the graphite flake looks like a literal flake. On a polished surface, cast iron graphite flakes look like fine lines. Graphite flakes crack easily, a quality which actually makes gray iron more castable. All in all, gray iron is between 6% to 10% graphite by volume. The presence of carbon alters tensile strength and hardness. The higher the amount of carbon, the higher the tensile strength and hardness. The exact appearance of individual grey iron depends on both temperature and timing. Other than appearance, variable properties of castings include: thermal conductivity, tensile strength, hardness, energy dissipation, resistance to wear and deformation, and melting point. Additional elements may appear in grey iron castings. Some may have been placed there intentionally by manufacturers to alter specific properties. Others, like graphite, may have arrived by happenstance. Prominent among these are manganese, carbon and sulfur. When added to molten grey iron, manganese encourages the increase pearlite formation during the cooling stage, while sulfur increases hardness. Other elements may be present, but to a lesser degree. 1. To acquire gray iron, metalworkers must first mine iron ores or iron oxides and then process it in a special type of blast furnace, called an electric induction furnace or a cupola. 2. When metalworkers have reached the gray iron material mixture they want, they proceed to casting. 3. Iron foundry workers have a variety of processes at their disposal with which to produce grey iron castings, though they all more or less follow the same basic procedure. First, the grey iron is liquefied, then it is poured into a mold, where it is allowed to cool then ejected. 4. No matter the method chosen, it is many times the case after casting that the newly formed castings need to undergo secondary processes to finish them and to remove imperfections like burrs and scale. These processes include deburring, annealing, machining, galvanizing, painting, and more. To create more finished products, most iron foundries have the equipment and staff available to perform such processes in-shop. Manufacturers choose what grey iron material and what casting process to use based on the application requirements. It’s easy for them to select a material because ASTM classifies them according their mechanical properties, such as tensile strength and ductility. They choose processes based on factors like: desired end structure, casting solidification rate, cooling rate (determines properties), dimensional accuracy, desired wall thickness, desired part hardness and budget. Also, if your casting has an inner core, manufacturers must choose a method or mold design that will support that core. To create custom castings, manufacturers simply create custom molds/die casts and/or custom gray iron materials. 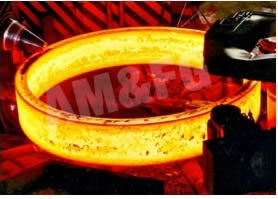 Manufacturers perform cast iron casting in foundries. Inside an iron foundry, you will find casting machinery like: dies casts and molds, gating systems and furnaces, among others. 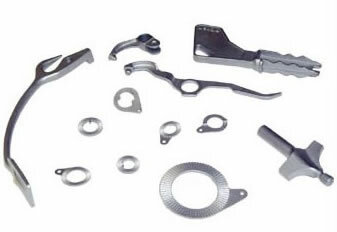 Die casts used for gray iron casting are formed out of two hardened tool steel dies. They may also be made from non-ferrous metals like: aluminum alloys, zinc or copper. Molds may be made from a variety of different materials, depending on their application. Regardless, they typically feature a cavity where manufacturers pour the molten iron. The mold cavity is shaped in the pattern they wish the metal to take. They may modify the process by adding core inserts to produce holes or other internal features. Gating systems complement molds. They guide the molten metal through a series of channels into the mold cavity. They feature components like: the pouring cup/basin, sprues, runners and gates. Different grey iron casting processes include centrifugal casting, die casting, sand casting and ductile iron casting. Centrifugal casting is a method used to cast cylindrical parts and components that produces fine-grained outer surfaces with even dispersion. To work, liquefied grey iron is poured into a mold that rotates at high speeds as it is introduced. Centrifugal casting stands apart from many other types of casting because it is mainly used to create stock materials for further machining, as opposed to parts shaped for specific applications. Grey iron castings made via this process can also be almost any diameter, length, and thickness. 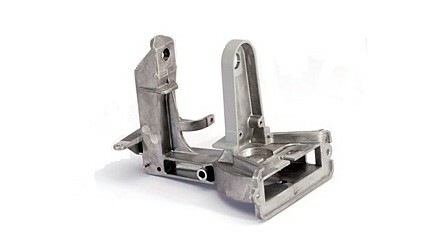 Die casting is popular for continuous cycle or the fast production of castings. It uses reusable molds that are made in the shape of the desired finished product. To die cast the metal, manufacturers must inject it into the die and apply pressure. Die casting is good for use with small to medium parts that require good dimensional stability, carefully produced details and good surface quality. Sand casting, or sand molding, is a low-cost and low-maintenance casting option that uses a sandy mixture as a mold. The four main mixtures from which manufacturers may choose are called no bake, dry sand, skin-dried, and green sand. •	No bake molds are disposable molds, made of sand, a quick-setting resin, and a catalyst. They are formed with the help of a casting flask, which is usually made out of plastic, wood or metal. No bake molds employ a heat-free, cold-setting casting process. •	During dry sand molding, unbonded sand is mixed with an adhesive or a chemical binder, shaped to form a mold and then baked a certain temperature to finish. To make castings, molten grey iron is poured into the mold, taking its shape. •	To create a mold using the skin-dried molding method, also known as air-dried molding, operators mix water, sand, a binder like clay and bonding additives and then dry it with a torch or heating lamp. •	Green sand molds are made the same way, minus the bonding additives and the heat drying. Ductile iron casting, also known as spheroidal graphite casting, SG iron casting or nodular iron casting, was developed in 1943 by Keith Mills. This process involves melting and casting ductile iron (iron alloys with controlled microstructures) along with one of the elements that makes it ductile. This is usually either magnesium, cerium or yttrium. Ductile iron castings are not only more ductile than grey iron castings, but also have higher tensile strength than gray iron castings. Because of the high tensile strength and ductility it produces, ductile iron casting is used to produce: water pipes, sewer pipes and components of: windmills, tractors, trucks and cars, piano harps and oil rigs. Grey iron casting offers so many advantages. First, it lends to products high damping capacity, compression strength and tensile strength. Second, it’s fast and easy to produce. Likewise, because of the presence of graphite and graphite flakes, grey iron has both good machinability and weldability. With it, iron cast foundry workers can create a wide variety of complex shapes. In addition, the grey iron casting process creates less shrinkage during cooling that similar casting methods. This means that castings require little secondary processing. The cherry on top is the fact that gray iron castings are relatively inexpensive, so an investment in them won’t break the bank. Gray iron castings do have one disadvantage though, which is that they are not shock resistant and, with enough force, can shatter immediately. For a quality casting, you need to work with a reputable grey iron casting company.  Find a quality foundry by checking out the companies we have listed on this page. Their respective profiles are spread throughout in between our informational paragraphs. Before looking at them, we recommend you put together a list of your specifications so that you can readily compare and contrast their product offerings and services. Make sure to write down your budget, timeline and delivery preferences. Once you’ve got your list ready, get to browsing. Choose three or four casting manufacturers that appear to hold the most potential for your application. Reach out to each of them to discuss your specifications. Go over everything on your list; don’t be afraid to ask a lot of questions. Next, compare and contrast your conversations and the information you received. From among them, select the foundry that can offer you everything you need within your timeframe and budget. Then, call them up and get to work. Good luck!